The committee invites all Friends of the Dorothy Neal White Collection to 2012 AGM. Most of the serving committee members are available again for 2012-2013. However, our President, David Retter, is stepping down after three years in the chair. We seek nominations for this role. Committee: Audrey Cooper, Alison Grant, Emma MacDonald, Mary Hutton, Barbara Robertson Mary Skarott. Please let David know if you are interested in standing for the President’s position, becoming a member of the committee or have items for the agenda. dcretter@clear.net.nz or phone 384 9311 Copies of the full minutes of the 2011 AGM are available hereWe are delighted to announce that after the AGM the award-winning local author Fleur Beale (left) will address the meeting. Fleur Beale has written over twenty novels for teenagers. 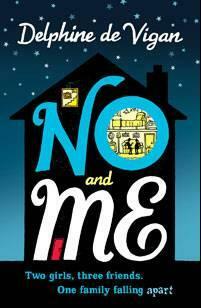 She won the 2007 Storylines Gaelyn Gordon Award for her first children’s novel, Slide the corner. She has been shortlisted several times in the New Zealand Post Children’s Book Awards (including this year), and in 2011 her novel Fierce September was the Young Adult Fiction Category Award Winner. 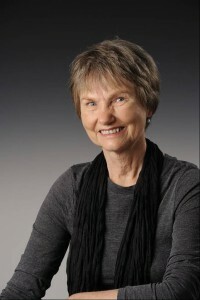 Fleur Beale won the 2012 Storylines Margaret Mahy Medal. 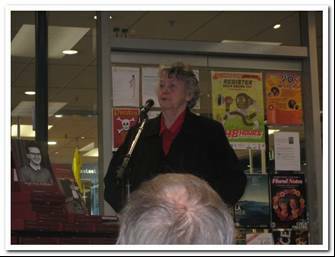 Anne Siebeck, the recipient of a Friends of the Dorothy Neal White Collection Research Grant presented some findings from her research at a Friends’ event at Archives NZ on 8 February 2012. In The foreign books we read as children, Anne outlined her research methodology and the results of her analysis of the data she collected. Being particularly interested in the books that were actually read by New Zealand children, she started with the DNW Collection. She gave us the benefit of her work on the original languages of these books. Anne is continuing her analysis of the data she has compiled and, in particular, will be looking to see if these results are reflected in contemporary publishing by Gecko Press. We await the results of her research with great interest. If you can answer these questions, or at least know where to look for the answers, then you should have been in Hawke’s Bay over the weekend of 13-16 January this year when some of the New Zealand members of The Arthur Ransome Society met together on the closest weekend to Arthur Ransome’s birthday on 18 January. (He was born in Leeds in 1884). TARS is based in England, but there are members worldwide. There are 16 members in New Zealand (including three in Wellington and two on the Kapiti Coast) and seven of them plus two wives were involved in this celebratory extended weekend. We met first on the Friday afternoon to get to know each other and then the weekend really began with a talk by Cheryl Paget (our ‘Susan’) at the Hastings Public Library. This talk, titled “Arthur Ransome, story-teller, journalist, sailor, fisherman and suspected spy”, was open to the public and had been well publicised by an informative article in the local newspaper, as well as a display in the library. It was very pleasing to see that up to fifty people had sufficient interest in the writings for children and the career of an English gentleman and possible double agent to attend. After the talk the nine enjoyed dinner together at a local restaurant. The children in Arthur Ransome’s books have very active holidays, so we did not spend the weekend sitting around talking, though there was a lot of that also. 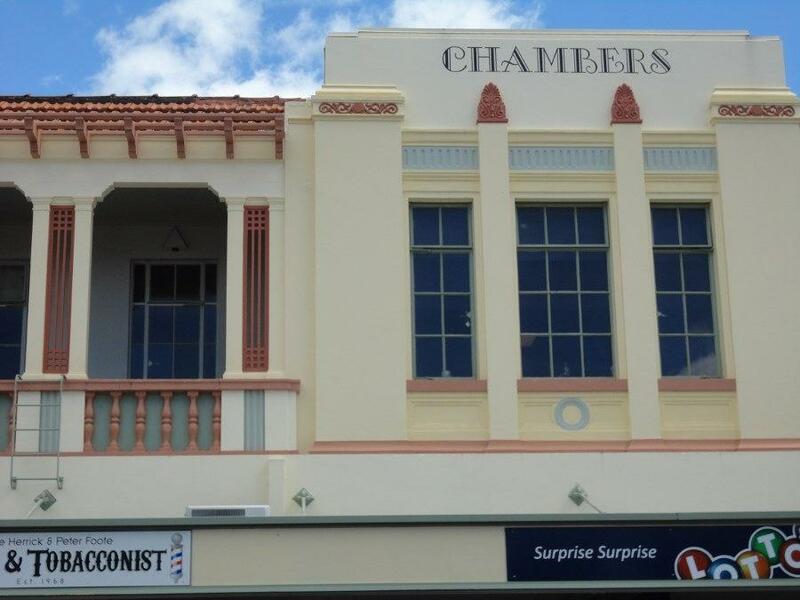 We next gathered on Saturday morning at the Napier Visitor Centre for a guided walk around the city’s art deco buildings. Our guide was most informative and we did a lot of looking upwards and peering through letterboxes and doors while appreciating the beauty of the many ziggurats, sunbursts, speed lines and other art deco features incorporated into buildings. A cruise ship was expected into port that day, so we also got to see the young couple dressed in 1930s style clothes hanging around by a vintage car ready to pose for photos or just to add a bit of atmosphere. Remembering that the 1930s was the time of the Swallows and Amazons, this tour put us in the right period for our weekend. 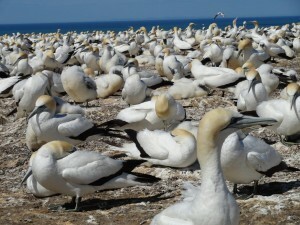 In the afternoon we did the coastal tour to the Cape Kidnappers’ gannet colony. This involved sitting on the outside edge of trailers being towed by a tractor along the beach. This afternoon trip was very popular and there were five tractor and double-trailer units full of enthusiastic bird- watchers. At various places our tractor driver stopped to point out features of interest. Fault lines were clearly visible and we could see how they had slipped during earthquakes by following the different coloured layers in the rocks. The trip along the beach to Cape Kidnappers took about one and a half to two hours, to where there was a short steep walk up to the top of the cliff to the largest mainland gannet colony in the world. Here we could watch and listen to the gannets, both adults and a few large demanding chicks. No Great Northern Divers unfortunately, but plenty of gannets both on the ground and in the air. There are good views to be had from the top of the cliff, including the Black Reef gannet colony further out to sea. 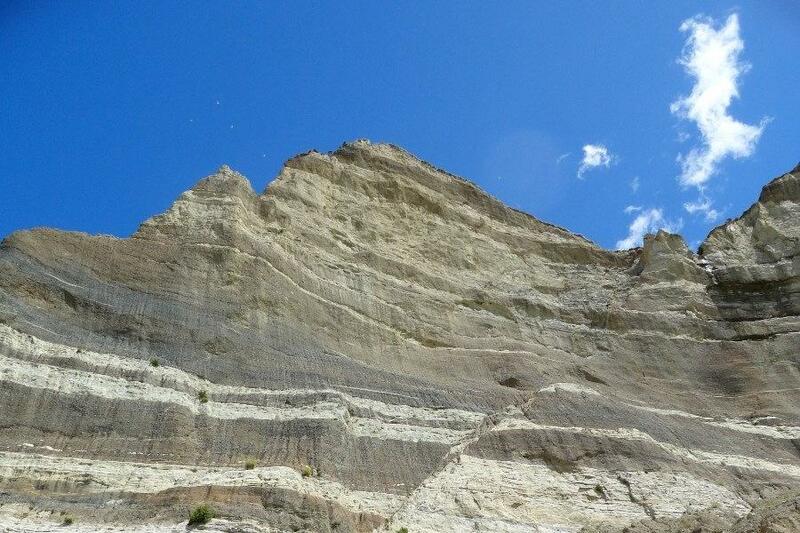 This was a true Hawke’s Bay summer day with temperatures around 30° and we were glad of our sunscreen and hats. Sunday began with visiting the extensive Hastings Farmers’ Market, where we bought food to have for our later picnic lunch. Then to Cornwall Park to visit the Osmanthus Chinese Garden (right) which was set up in 1996 by businessmen from Hastings’ sister city, Giulin. This is a well laid out garden and a pleasant place to sit and admire the architecture and water features, as well as the resident duck family. But there was no sign of Missee Lee! 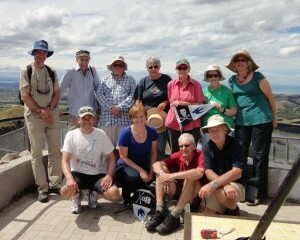 Our next activity was the most strenuous of the weekend – climbing Mt Kachenjunga, aka Te Mata Peak. Here four of the five women in the party decided to stop being ‘Amazons’ and drove to the top of the mountain, leaving the men to follow our ‘Susan’, aka Cheryl, and climb to the top, where they arrived exhausted but triumphant ready to enjoy the picnic late lunch which had been taken up by rattletrap. The views from the top are well worth the effort of getting there with 360° of extensive scenery to look down on. By this stage we had been joined by two local men (dubbed ‘Old Billy’ and ‘Young Billy’) who had attended the Library talk on Friday night and been encouraged to take part in most of the Sunday activities. Sunday evening, after dinner at a local Havelock North restaurant, we headed off to St Luke’s Church hall where we all took part in a fiendish quiz, of which the two questions at the beginning of this article are examples. 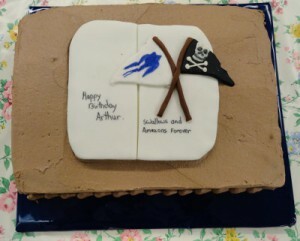 A local baker had produced a chocolate birthday cake for Arthur Ransome with “Happy Birthday Arthur” and the Swallows and Amazons pennants in icing decorating the top (right). Monday was a more relaxed, indulgent day beginning with a visit to Te Mata Winery. Unfortunately they weren’t working on much at the moment – the grapes are still ripening on the vines in January – but we were shown around the various parts of the complex and given explanations of the process involved in producing both red and white wines. A visit to their shop enabled some purchases to be made. Then a cross-town drive where different routes were taken, but we all ended up at Silky Oaks Chocolate factory. Our tour fee included three small chocolates to nibble (or save until later) as we listened to an explanation of the processes and gazed through a window to see where the chocolate products were made. The shop has an extensive range of chocolate goodies for sale, but I don’t think many of us were tempted. However we did conclude the weekend over a delicious lunch in the attached café, where hot or iced chocolate seemed to be a popular drink. 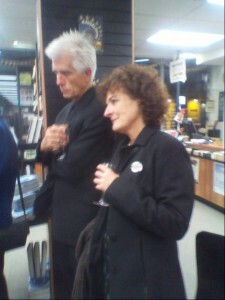 On Monday 23 April 2012 a large group of “Wellington literati” (or so we were described by one of the speakers!) gathered at Unity Bookshop for the launch of two books celebrating the life of publisher and activist Hugh Price. Hugh died in December 2009 and Hugh Price, publisher includes tributes from many friends, colleagues and admirers. Co-edited by Hugh’s wife Beverley Randell and publisher Roger Steele the book is in three parts. The eulogies given at the celebration of Hugh’s life on 5 January 2011 make up part one “Champion of the vulnerable”, followed by further tributes and obituaries. 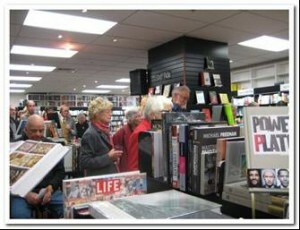 Part three, “A life in print” includes Hugh’s own short memoir “Exposed to print”, his doctoral citation and reply (Hugh received an Honorary Doctorate of Literature from Victoria University on 6 August 2009), and an annotated chronology of his life and achievements compiled by Beverley. After an introduction from Roger Steele on behalf of the publishers Steele Roberts, Beverley spoke about her part in editing the book and putting together the timeline. She paid tribute to her daughter Susan’s skills as a keeper of family records and how this enabled her to make such an accurate history of Hugh’s life. 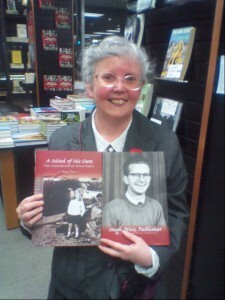 The second book to be launched was Susan’s record of her father’s first 20 years A mind of his own. For over 25 years Susan had assiduously recorded her father’s stories and anecdotes as he told them (sometimes even resorting to the blank pages in the back of Hugh’s cheque book to make notes when no other scrap of paper was available!). Susan spoke warmly of her father and how writing the book eased her sense of loss following his death. This well-illustrated, beautifully presented boxed set is a very fitting tribute to a much admired man – and at Beverley’s request we all enthusiastically drank to the launch of the books, and, quoting one of her favourite mis-spellings of his name, “To Huge Price”. A pleasingly wide variety of donations has been offered and accepted over the last few months. Titles accepted for the DNW Collection include: a 1927 New Zealand girl’s annual; an early edition of Ethel Turner’s The little larrikin (circa 1896); several titles in the charming Budge and Betty 1920s series of girls’ adventure stories; a copy of Geoffrey Trease’s Tales out of school which is inscribed as a gift to Dorothy Neal White and her husband, and, with the longest title a gem from 1835, the new edition of Uncle Philip’s conversations with children about the habits and mechanical employments of inferior animals. The National Children’s Collection has benefited from a number of donations dating from the 1940s and 1950s, including several of Martin Clifford’s school stories from 1952, Miracles of invention and discovery (1947) and The Country Life picture book of the coronation (1953). It has been interesting to note recently, when I have been selecting new items to purchase for the NCC, that a number of new publications are drawing on classic children’s stories. For example, Andrew Motion has recently written a sequel to Robert Louis Stevenson’s Treasure Island, titled Silver: return to Treasure Island. Then there is Frank Cottrell Boyce’s Chitty Chitty Bang Bang flies again, a sequel to Ian Fleming’s original story, and Antony Horowitz has produced a new Sherlock Holmes story, The house of silk. Also of note, Madeleine L’Engle’s Newbery Medal winning novel A wrinkle In time is being released in a fiftieth anniversary commemorative edition which includes an introduction by Katherine Paterson, an afterword by Madeleine L’Engle’s granddaughter Charlotte Jones Voiklis, and the author’s Newbery Medal acceptance speech. Staff have begun to move back into the refurbished Molesworth Street building. Reading Room Services staff, who are currently working at 77 Thorndon Quay, are among the last to move back at the end of July. 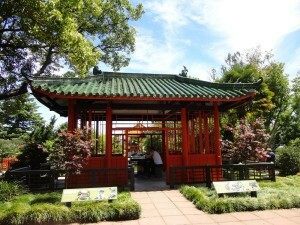 The new reading rooms are scheduled to open on 6 August 2012. 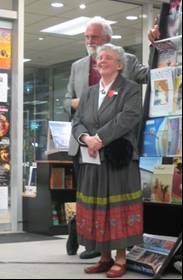 The Dorothy Neal White Collection is scheduled to be packed up from its temporary home at Archives New Zealand at the end of May, and will not be available for viewing until the Collection is re-housed in its permanent home in the SSC Basement, adjacent to the National Children’s Collection, and research services resume in August. Requested items from these collections will be delivered to researchers in the first floor reading rooms; I will provide more detailed information about this process once the move back is completed. Following on from Anne Siebeck’s talk to the Friends about her research into translated children’s literature (see Joan’s report also in this issue), I thought it would be interesting to have a look at some of the works in translation that have been added to the NCC in recent years. Works in translation enter the collection via both legal deposit (which includes the Gecko Press books) and the purchase of overseas publications. 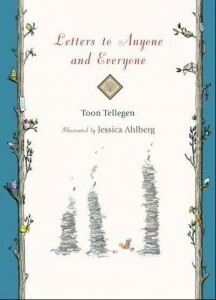 Purchased titles include winners of major awards for children’s literature in translation (The Batchelder Award for works published in the United States, and the Marsh Award for works published in the United Kingdom), together with other books that are selected under the current collection policy and happen to be translated works. I looked for translated books (both fiction and non-fiction) in the NCC that were published in 2009, 2010 and 2011 and found 94 titles, as summarised below. For up-to-date news about the Friends, photographs of events, copies of our publications, and the AGM minutes, visit us here on our website. The texts of all volumes of Notes-Books-Authors (apart from no.7 Dorothy Neal White: a tribute) are available through the website. The 2011 Annual General Meeting agreed to hold the subscription rate at $20 a year. Members might also like to make a contribution to a special Scholarship fund that will allow us to continue and / or increase the amount we are able to offer a student doing research based on the collections supported by the Friends. A separate line has been included on the form for those Friends who would like to make such a donation. Please indicate any changes to your address details when you complete the form. We are now able to send notification of meetings by email. If you would like to receive information in this way please include your email address. Please note: We will only be sending Newsletter and other publications to current (paid-up) members. Libraries and booksellers are encouraged to subscribe to support the work of the Society and the promotion of children’s literature in New Zealand. For the first time this year, a Young Adult Graphic Novel – Shaolin Burning by Ant Sang – is a finalist in the Picture Book category which is generally dominated by books for the very young. 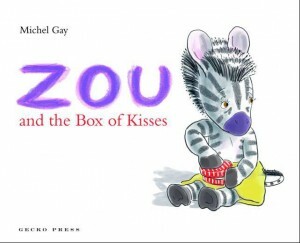 Ms Candler stated that the judging criteria mean that illustrated books are judged in either the Picture Book or Non-Fiction categories. 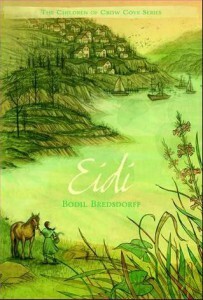 The finalists were selected from more than 130 children’s books published in New Zealand in 2011 and submitted for the awards. 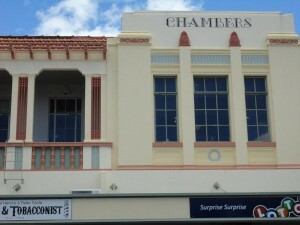 Winners will be announced at a ceremony in Wellington on Wednesday 16 May 2012. Ms Candler, an independent publishing and education consultant is joined on the judging panel by two other children’s literature experts: school curriculum advisor, librarian and bookseller Annemarie Florian and award-winning writer and illustrator Bob Kerr. As well as winners in each category, the judges will also decide which author will earn the New Zealand Post Children’s Book of the Year prize. In addition to the Judges’ selection is the Children’s Choice Award. this award is voted on by children of school age from all over New Zealand. The earliest book that I can recall from my childhood is Robert McCloskey’s Make way for ducklings. As a small child trying to negotiate an urban world, the hazards facing Mother Duck and her family were all too real to me. I was charmed by the policeman stopping the traffic so the ducks could cross the road – and sincerely wished a policeman would halt the traffic as my mother and I crossed to the centre of Riccarton Road to catch the tram to town. 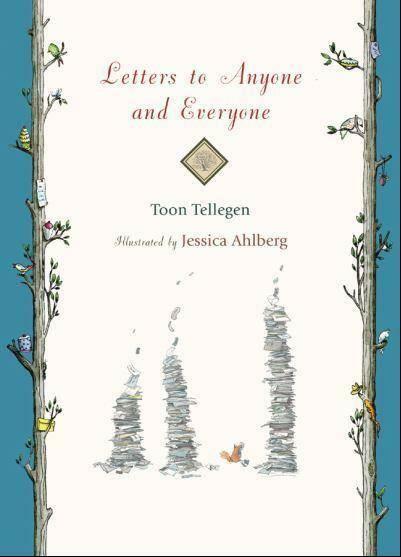 Warmed by memories of this lovely picture book, in 2007 I joined a queue of children to have my photo taken with the bronze Duck Family sculpture on Boston Common. I was 31⁄2 when I read my first – and last – Noddy book. Perhaps foreshadowing my later work reviewing books, I had a firm opinion of the book and especially of its leading character, declaring Noddy “stupid”. My opinion didn’t change when I re-read the book five decades later. While I eschewed most of Blyton’s books, I was a dedicated fan of the Mary Mouse books. Their great allure for me was the strip book format and Olive F Openshaw’s sweet illustrations, rather than Blyton’s text. 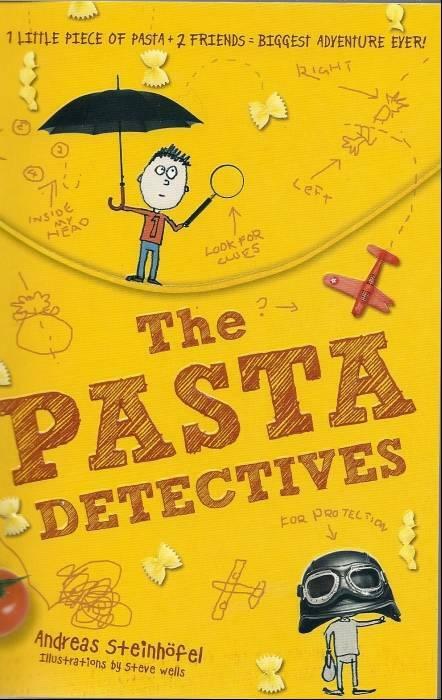 I didn’t read the Famous Five or Secret Seven books that my schoolfriends devoured and swapped with enthusiasm. Indeed, I seemed to be out of step with what was popular. When reading famous authors, my favourite books were often their less popular titles. I did enjoy L M Montgomery’s Anne books, but I adored Jane of Lantern Hill. Noel Streatfield’s Ballet shoes was okay, but not a patch on White boots which inspired me to take up iceskating. L M Alcott’s Little Women and sequels were, for me, outshone by An Old-fashioned girl. Despite a preference to be curled up with a book in a quiet corner, my reading sometimes spurred me into action. After reading Arthur Ransome’s Swallows and Amazons and a neighbour’s selection of Boys Own Annuals, I joined the neighbourhood boys building rafts in the hope of having our own waterborne adventures on the Avon. Sadly, they were simply water-logged adventures as the rafts invariably sank, although one stayed afloat until two intrepid adventurers were aboard. During several prolonged bouts of illness I devoured a friend’s library of pony books (despite being scared of horses); Dancing Peel and numerous other Lorna Hill ballet books (despite having only left feet and a Bessie Bunter physique); and all the Sue Barton nursing books (despite being very squeamish). While convalescing I also read much of Arthur Mee’s Encyclopedia by category, beginning with all the fiction and poetry, followed by history, nature and on to less favoured subjects. A neighbour also generously offered me her mother’s Edwardian Girls Own Annuals so that, when coming across these books in the Dorothy Neal White Collection, it was like meeting up with old friends. I could not believe it was real in 1977 when I was appointed to review books for the National Children’s Collection. I cannot imagine another career that would have suited me so well as working with both these wonderful, extensive children’s book collections. This year being the centennial of members of the British Antarctic Expedition led by Captain Robert Falcon Scott reaching the South Pole, there has been considerable publicity about the early exploration of Antarctica and about the southern continent one hundred years on. But did you know that one hundred years ago New Zealand schoolchildren were reading about these expeditions, not quite as they were happening, but soon after; and just as members of Gareth Morgan’s Our Far South team had liaised with schools before, during and after their trip down to the Ross Sea, so New Zealand children had read about Scott’s Terra Nova trip to the Ross Sea and beyond before the expedition left and eagerly looked forward to reading about the scientific and exploratory results on their return. The School Journal, published by the New Zealand Department of Education from May 1907, and distributed to all primary schools, was begun to provide New Zealand schoolchildren with a free publication containing information on history, geography and civics. Being the country closest to the Ross Sea, New Zealand had close links with the early explorers of the great white continent. The southernmost part of the Ross Sea is as far south as a ship may go, and so explorers heading for the South Pole aimed to make their bases in this region. In December 1901, Scott left Port Chalmers in the Discovery on his first trip to Antarctica. The September 1907 issue of The School Journal (for Classes V and VI) contained an article with the straightforward title “Antarctica”. In this the writer sets out reasons why New Zealand should have an interest in this southern-most continent. Firstly, historically, because New Zealand and Australia were discovered when early navigators were searching for the fabled continent known as “Terra Australis Incognita”, which was assumed to exist to balance the northern hemisphere continents. Secondly, geographically, because of its proximity to our shores. Many people are very much surprised when they are told that eight days after the “Discovery” left Port Chalmers – on the 24th December, 1901 – the pack ice was reached. The “Discovery” was a slow sailor, however. In only six days from Wellington a steamboat travelling at the rate of fifteen knots an hour could reach the winter quarters of the “Discovery” in lat. 77°50’S., where the winter night and the summer day are four months long. The influence on our weather is also discussed, as well as the importance of the position of the South Magnetic Pole for navigation. 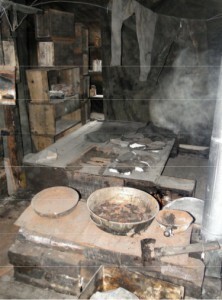 When we visited this hut in February 2010, it gave the appearance of explorers having left in a hurry, leaving many articles behind for future use. A pile of frozen seal blubber sits outside in readiness for fuel or food for men or dogs. Inside was very cold and dark, and most things could only be seen when illuminated by the flashes of cameras. A meal of seal blubber was waiting on a primus stove, and boxes of provisions were piled up loosely dividing the space into smaller sections (right). The second Antarctic expedition to make full use of the facilities of the port of Lyttelton and enjoy the hospitality of the people of Canterbury was the British Antarctic Expedition led by (then) Lieutenant Ernest Shackleton. The Nimrod arrived in Lyttelton on 23rd November 1907, and departed on 1st January 1908 being towed by the steam tug Koonya for 1500 miles south to save coal as there was insufficient storage space on the Nimrod. Unlike the Discovery, the Nimrod was not to spend the winter in Antarctica, but returned to Lyttelton, leaving there again on 1st December 1908 to return to Antarctica to pick up Shackleton and his men. All the explorers were safely returned to Lyttelton on 25th March 1909. The School Journal was very quick to get details of this expedition to its young readers and published two articles with details of their discoveries. The first was in June 1909, detailing the discovery of the south magnetic pole by Professor Edgeworth David, Douglas Mawson and Dr. A.F. Mackay. The second, an account of Shackleton’s journey to within 100 miles of the South Pole, was published in July 1909. 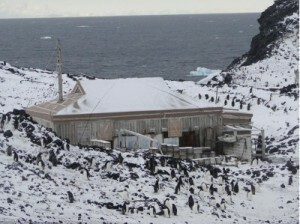 Due to the disappearance of the area Scott had named the Bay of Whales at the eastern end of the Great Ice Barrier (now called the Ross Ice Shelf), Shackleton was forced to make his base at a point on Ross Island at an area named Cape Royds, further north than Scott’s first base at Hut Point. As Shackleton was from the Merchant Navy, not the Royal Navy, there was no division between men and officers/scientists in this hut. Inside the double walls insulated with cork was one large space, and the men built their own beds or bunks against the walls. Heating was provided by a coal-fired stove, which was also used for cooking and was kept going night and day for nine months. Lighting was achieved by an acetylene gas plant. When we visited in February 2010, inside the hut, though still cold, was so much warmer than the outside air that the camera lens fogged up and so our photographs have a softness about them which belies the stark reality. The area chosen was (and still is) surrounded by an Adelie penguin colony, which would have been useful for Shackleton’s men as it gave them a convenient food source; but means that there are now more restrictions on approaching the hut so as not to disturb the penguins, especially when they are breeding or raising their chicks. 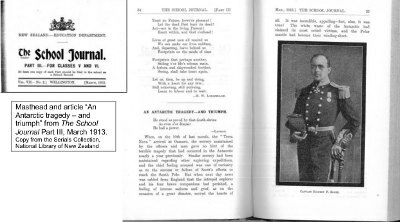 In February 1911, The School Journal featured an article “Captain Scott’s Expedition to Antarctica”. Last November the “Terra Nova”, with Captain Robert Scott and an exploring party on board, sailed from Lyttelton, and, after calling at Port Chalmers, departed for the Antarctic regions. As well as a photo of the Terra Nova in Lyttelton harbour and another of two of the sledge dogs, there is a map showing the proposed route to the South Pole. Details of the proposed explorations and scientific research are carefully explained, before ending with the following uplifting statement to the youthful readers. On the front page of the May 1911 issue of The School Journal, we find “News from the Antarctic”, in which the projected plans for explorations and scientific research in the southern continent are outlined. As was planned, the Terra Nova, after having landed Captain Scott’s party at McMurdo Sound and Lt. Campbell’s party at Cape Adare, had returned to Lyttelton, where she was able to report on the adventurous and difficult journey south. But the most surprising news brought back by the “Terra Nova” was that Captain Amundsen’s Norwegian expedition, which had gone out in our old friend, the “Fram”, had established winter quarters at Balloon Inlet. …he was going to the Antarctic with the intention of joining in the race for the South Pole. The hut which Scott and his men built at Cape Evans in January 1911 was a great improvement on that erected further south in February 1902. This second hut was designed for living and working in, and was well insulated with quilted seaweed between the inner and outer walls. Scott was a Royal Navy man and so the accommodation was divided between ‘men’ and ‘officers/scientists’. The divisions were constructed using the boxes of provisions, and these boxes with their stencilled descriptions are still in place today, thanks to the work of the Antarctic Heritage Trust of New Zealand. As can be seen many of the provisions – butter, cheese, bacon, hams, etc – had been obtained from New Zealand, much of it free of charge. Other tins of products – Fry’s cocoa, Heinz baked beans, Colman’s flour and mustard, Tate’s sugar, etc – were loaded on board in England, and had travelled through the tropics before reaching the southern hemisphere. 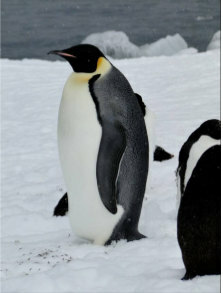 Other animals described in this article include the Emperor penguin, various petrels and gulls, especially the skua, different types of seals, and orcas or killer whales. 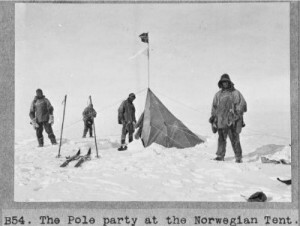 The April 1912 edition of The School Journal contained an article titled “South Pole Reached”, which concentrated on Amundsen’s achievement of leading the first party to reach the geographic South Pole. The following year in March was printed “An Antarctic Tragedy – and Triumph”, followed in April by a shorter piece titled “Antarctic Tragedies”. The bodies of Scott, Wilson and Bowers were discovered in the snow-covered tent where they had died on 12th November 1912. The Terra Nova, which had returned to pick up the expedition members, reached Oamaru on 10th February 1913, from where a cable was sent to the expedition headquarters in London to inform them of the tragedy which had overtaken the expedition. The ship remained at sea until the news could be imparted to those who needed to know before the general public, and she then berthed in Lyttelton on 12th February. photographed by Henry Robertson Bowers. The School Journal was very quick to include the sad news in their March 1913 edition. 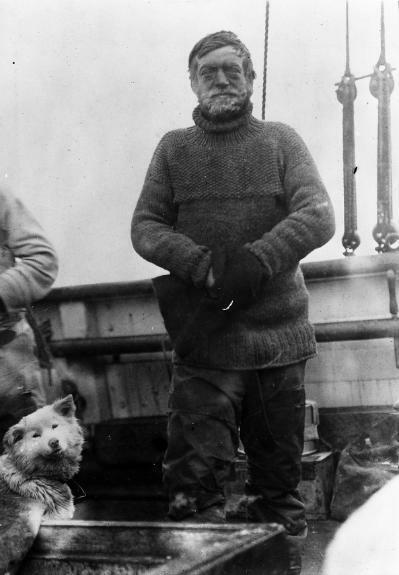 As so many accounts of “Scott’s Last Expedition” have done, the article included parts of Scott’s “Message to the Public”. The causes of the disaster are not due to faulty organisation, but to misfortune in all risks which had to be undertaken. 1. The loss of pony transport in March 1911 obliged me to start later than I had intended, and obliged the limits of stuff transported to be narrowed. 2. 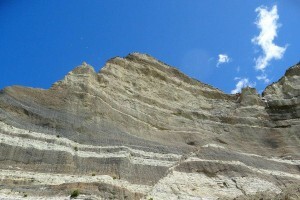 The weather throughout the outward journey, and especially the long gale in 83°S., stopped us. 3. The soft snow in lower reaches of glacier again reduced pace. We fought these untoward events with a will and conquered, but it cut into our provision reserve. Every detail of our food supplies, clothing and depots made on the interior ice-sheet and over the long stretch of 700 miles to the Pole and back, worked out to perfection. The advance party would have returned to the glacier in fine form and with surplus of food, but for the astonishing failure of the man whom we had least expected to fail. Edgar Evans was thought the strongest man of the party. The Beardmore Glacier is not difficult in fine weather, but on our return we did not get a single completely fine day; this with a sick companion enormously increased our anxieties. As I have said elsewhere we got into frightfully rough ice and Edgar Evans received a concussion of the brain – he died a natural death, but left us a shaken party with the season unduly advanced. But all the facts above enumerated were as nothing to the surprise which awaited us on the Barrier. I maintain that our arrangements for returning were quite adequate, and that no one in the world would have expected the temperature and surfaces which we encountered at this time of the year. On the summit in lat. 85°, 86° we had -20°, -30°. On the Barrier in lat. 82°, 10,000 feet lower, we had -30° in the day, -47° at night pretty regularly, with continuous head wind during our day marches. It is clear that these circumstances come on very suddenly, and our wreck is certainly due to this sudden advent of severe weather, which does not seem to have any satisfactory cause. I do not think human beings ever came through such a month as we have come through, and we should have got through in spite of the weather but for the sickening of a second companion, Captain Oates, and a shortage of fuel in our depots for which I cannot account, and finally, but for the storm which has fallen on us within 11 miles of the depot at which we hoped to secure our final supplies. Surely misfortune could scarcely have exceeded this last blow. We arrived within 11 miles of our old One Ton Camp with fuel for one last meal and food for two days. For four days we have been unable to leave the tent – the gale howling about us. We are weak, writing is difficult, but for my own sake I do not regret this journey, which has shown that Englishmen can endure hardships, help one another, and meet death with as great a fortitude as ever in the past. We took risks, we knew we took them; things have come out against us, and therefore we have no cause for complaint, but bow to the will of Providence, determined still to do our best to the last. But if we have been willing to give our lives to this enterprise, which is for the honour of our country, I appeal to our countrymen to see that those who depend on us are properly cared for. Had we lived, I should have had a tale to tell of the hardihood, endurance, and courage of my companions which would have stirred the heart of every Englishman. These rough notes and our dead bodies must tell the tale, but surely, a great rich country like ours will see that those who are dependent on us are properly provided for. This account is from the letter held by the Scott Polar Research Institute. The letter is on display at the institute museum. Thanks and acknowledgements are due to Lynne Jackett. 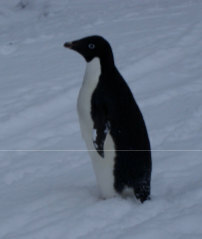 If she had not been working on indexing the School Journals, we would not have thought of connecting the School Journal with Antarctica and this year’s centennial commemorations.